M8A1 Scabbard. This is the standard M-8A1 scabbard with metal tip. 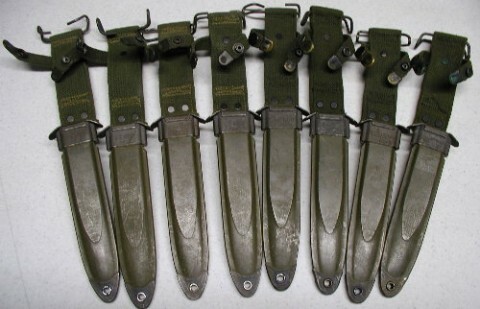 Scabbard will fit M3 Fighting Knives and most bayonets including the M4,M5, M6, and M7. Overall VG+ to EXC used.